Please note there are volume discounts if you order between 2 to 14 through the website. For higher quantities please contact us directly at <sales at software-partners.co.uk> or telephone 01926 842998. Click here for upgrades page. To return to the FinePrint/pdfFactory site click here. Prices shown exclude VAT. Tax is applied at checkout based on country. pdfFactory standard converts any documents to PDF. If you need editing and overlay features see the professional version. The server edition allows central management of settings and licences within a business. Administrators can see how many licences there are and who has the licences. Licences are registered against individual users until either the user or administrator cancels them - they are then returned to the available licence pool. Licences are not of the 'concurrent user type'. 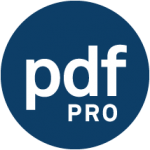 pdfFactory professional adds the ability to edit the PDF through the preview screen before it is saved. You can create and use overlays such as letterhead or cut/copy/paste blocks of text. FinePrint improves the appearance of your documents and reduces paper consumption. Documents can be combined, overlays and page numbers added, margins varied and booklet and multi-up output produced. The FinePrint standard bundle includes licences for FinePrint and pdfFactory standard for only a little more than the price of one of them. The FinePrint Professional bundle includes licences for both FinePrint and pdfFactory professional for little more than the cost of pdfFactory professional.